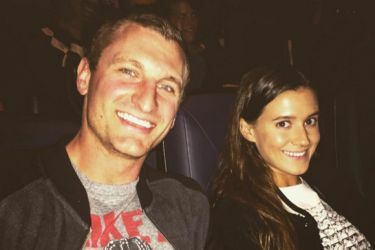 Brad Nortman’s wife Lexi Nortman married him in 2015 and went on a very brief honeymoon so he could make it to training camp. Training camp for a punter? I mean, how much training does the guy really need? 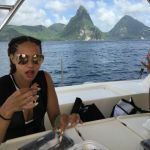 I say let him stay in the Caribbean and practice on seashells. 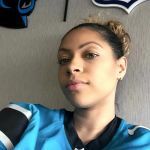 The couple tied the knot at the Biltmore Estate– the same place Mike Tolbert’s wife Shianette likes to go on vacation. 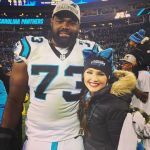 According to a short piece on the couple by Charlotte Magazine, Brad gave Lexi a little blue box holding a ring there. If you want to go big and regal, that’s the place to do it. Now, the story that Brad tells about how he met Lexi isn’t exactly clear because that same piece didn’t really explain it, but I’ll retell what I think happened. 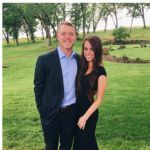 While they were both in college, they lived in an apartment building and were neighbors. 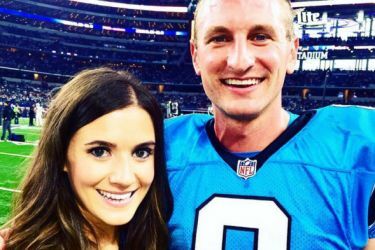 Brad Nortman’s wife Lexi was his next-door neighbor, but he didn’t know her at all. He lost his wallet one day, and he went out looking for it, attempting to retrace his steps so that he could find it. 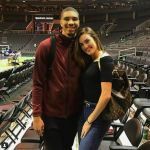 When he got home, there was a note on his door that said “I’m Lexi in apartment 412.” What was unclear is if she had found the wallet and had attached the note to tell him. I don’t think she did find the wallet. What is clear is that he invited her over, and they hit it off immediately. 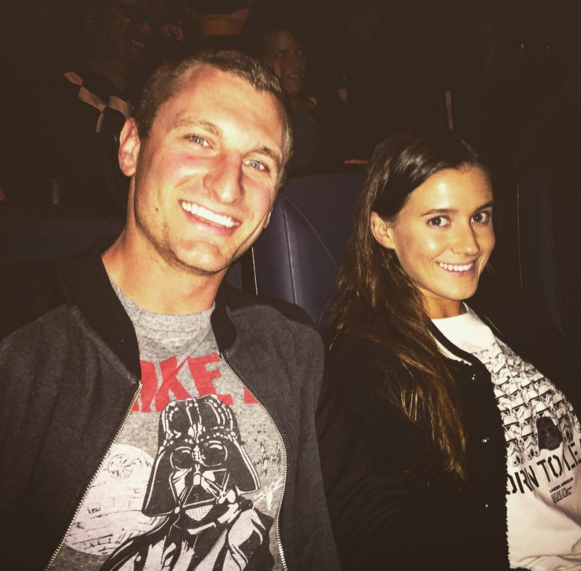 Around Christmas time, Brad Nortman’s wife and him attended “Star Wars VII” just like everybody else, and they both wore their Star Wars t-shirts to the show. I like the one Lexi was wearing. It said “Born to Lead” and had Darth Vader’s head among dozens of stormtrooper heads. They certainly appear to always be on the same page when they’re together in photographs. They’re both religious. Lexi thinks of herself as a “nutrition aficionado” and a “fitness maven.” I’ve seen her in poolside pics in a bikini, and boy does she have the fitness thing down. She’s done a bit of modeling as well. You’d expect that from a woman as pretty as her.